It has 100% high density, closed cell nitrile rubber cushion that provides maximum resistance to water, oil, grease, chemicals and animal fat. 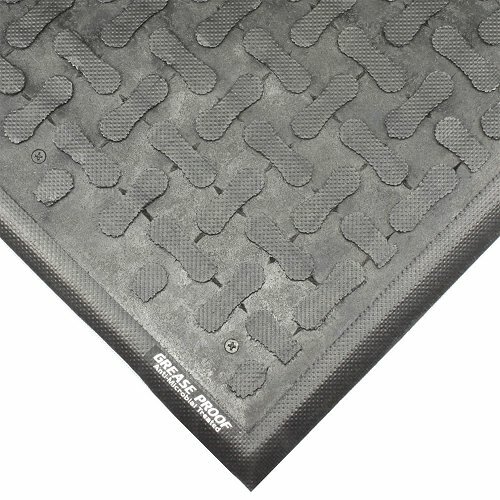 Its lightweight, easy to clean material outperforms thicker, heavier mats. Simply hose off or pressure wash to remove debris. 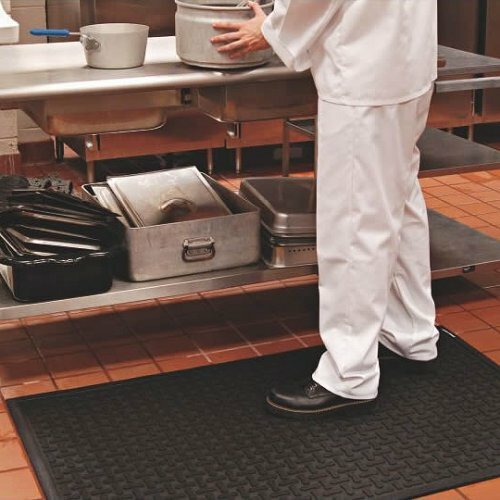 Its low profile design, 11 mm thick, and slip resistant surface helps minimise slip or trip accidents. 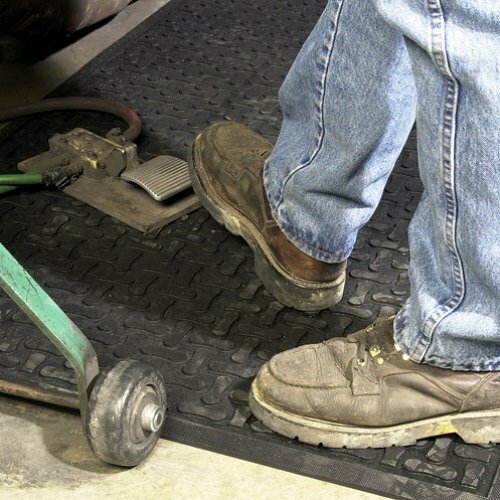 With a soft, anti-static nitrile rubber compound it is ideal for use in packaging and assembly areas, industrial workstations, machine shops and welding stations. This mats sister is the #420 Comfort Flow, same mat just without holes.